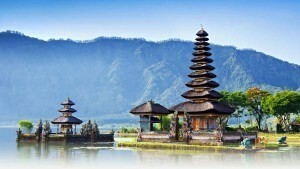 Bali is a spectacular place to enjoy great hotels along with green environment and refreshing nature. If you are among the fortunate one to stay in one of them, enjoy every second of your stay and experience the best things that the beautiful islands can offer. Here are the best things to do in Bali to plan your travel at any moment! There are spa center in many hotels where you can go regardless you like spa or not. Though who won’t love a relaxing spa with Javanese Lulur massage by Balinese girls and cover you with a mixture of local herbs. But there’s more, take your special pool experience with of scented water and fragrant flowers. The best way to witness the Balinese interior design and architecture, and elegance of nature is to sleep in bungalows. Its roofs are built from typical Balinese straws, and see some shower built in curved statuettes made locally. One of the best spot in the world for diving or snorkeling is in Bali. The Menjagan island can provide a peculiar diving experience for both beginners and professional divers. Menjagan is an extraordinary island and never missed a half of your life by not seeing the coral gardens of the island. Rice paddies are so gorgeous and popular. Take a sip of coconut water straight from the coconut trees around. Fan of selfies? This place could be the best selfie spot in the world. Young girls and women dress up at night dancing with their magnificent traditional costumes and theatrical make-up can be found around Bali. The music is played by the men musicians to accompany the gamelan dance of the girls. The locals always love it and the tourists know that they witness a unique performance of history and colorful culture.